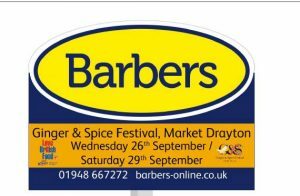 Barbers Estate and Letting Agents are proud to sponsor the Ginger & Spice Festival. 2018 is our 170th Birthday and, as one of Shropshire’s oldest businesses, it’s a real treat to be able to take part in an event which celebrates some of the county’s oldest and finest traditions. 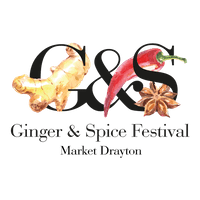 Market Drayton has a thriving food and drink industry, which the Ginger & Spice Festival does a superb job of promoting. 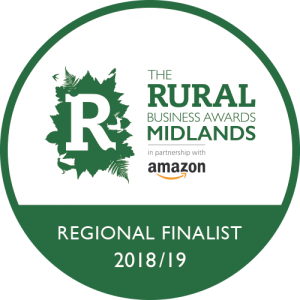 Everyone from the farmers at the grassroots, through to nationally recognised brands such as Joules and Image on Food, has a chance to showcase their products to a growing audience. We’ve been lucky enough to sample some of the delightful food prepared by local chef James Sherwin, who runs the surprise tasting menu ‘Wild Shropshire’ at Ternhill and have also been dazzled by ‘The Gintleman’ and his vast array of mouth-watering gins at Oakley Hall. We’d encourage anyone to attend such events and the variety on offer this year really is incredible. 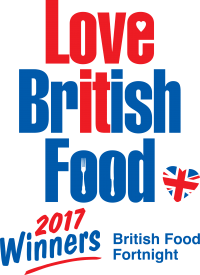 For those of you from out of town who are visiting for the festival, we’re well placed to help you find a more permanent residency in the local area – as we’re sure the local cuisine will tempt you to stay! We have offices across Shropshire in Market Drayton, Newport, Shrewsbury, Wellington/Telford and Whitchurch, all of whom will be happy to help you buy, sell or let property. Barbers are also award-winning members of the Relocation Agent Network which links accredited, licensed agents from all over the country to help you find a trusted agent near you, no matter where you live! Call us on 01630 653641 or visit our website www.barbers-online.co.uk and try our instant valuation tool! The Ginger and Spice Festival takes place from wed 26th to Sat 29th September 2018. To see What’s On, please click here.